For those suffering from sensitive skin, an everyday thing like shaving can be a hurdle. Usually, manual razors cause irritation, which is why so many turn to electric razors. With that said, there are still some precautions to take when shopping for the best electric razor for sensitive skin as not all of them offer the right amount of protection. To help you find the right one, the following review details seven of the most beneficial electric razors. To make the list, we looked at features like waterproof capabilities, how well it provides a close shave, versatility, and overall comfort. 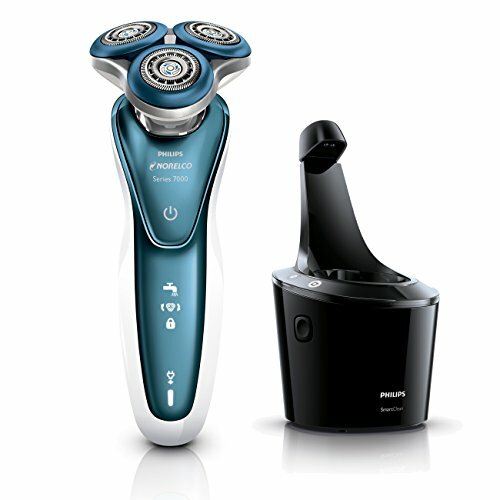 Making the list of the best electric razor for sensitive skin is the Philips Norelco 5570. What makes it ideal for those prone to irritation are the dual-blades, they have a lift and cut action to help provide smoother end results. Also, the head is able to flex in five directions to help with shaving areas like the jawline and neck. 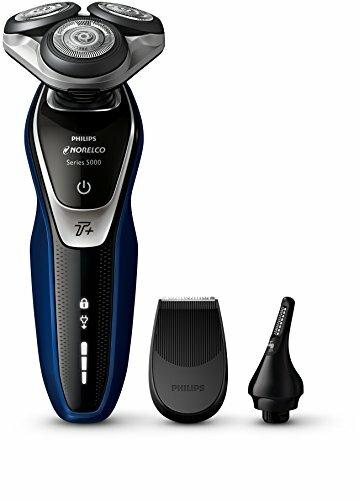 To help you get an even closer shave, the razor has the Turbo+ mode to provide 20% more power for a faster shaving experience. Even if It doesn’t have a trimmer, you can still attach two different kinds separately if needed. Those with no experience can use this with ease. For extra help with sensitive skin, it has wet and dry uses so you can hop in the shower or use with gel/foam. 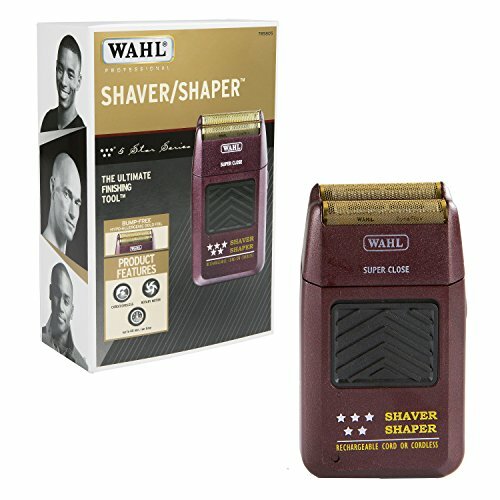 With the Wahl 5-Star Series, you get a professional-grade shaver that won’t aggravate your skin whether you’re shaving your face, your neck, or even your head. This is all thanks to the foil itself. It is made from hypoallergenic gold that should protect the most sensitive of skin from bumps and other irritation. This can also help you get smooth results as you can get a decently close shave. It is small in size, yet still easy enough and comfortable to grip. Moreover, as it is rechargeable, you can get 60 minutes of continuous use out of it. This is the ideal shaver for those who want a quicker shaving experience. The Philips Norelco 7300 can be the best electric razor for sensitive skin as it aims to reduce irritation for sensitive skin two ways. First, the heads feature this unique microbead coating to help it glide across the skin, leaving you with a smooth feeling. The second part that cuts down irritation deals with the actual blades. They are gentle precision blades that cut hairs in a more comfortable position to eliminate tugging. For additional comfort while shaving, the heads are able to move in five directions. This ensures that it can follow the curves of your face, contouring so it can get to the hairs in those harder-to-reach areas. Those who have used any of the Philips Norelco 7000 series can fall into an easy routine with the 7300. You can use it wet or dry also, so it helps if you’re on-the-go or not. 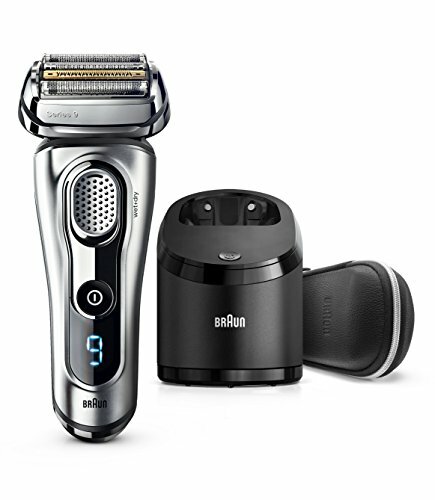 Another contender for the best electric razor for sensitive skin is the Braun Series 9290CC. It is made using five shaving elements. Four of them are for cutting while the one is used as a skin guard. While all of them work together to keep your skin protected throughout the shaving process. This electric razor can seem bigger than other similar types, but a larger head can contribute to a closer shave. In addition, the heads are 10-directional and flexible enough to adapt to your skin and seek out hard-to-reach hairs without tugging them, which causes irritation. You can also use it with foam or shaving gel. Furthermore, it’s built with two titanium-coated trimmers. The Braun Series 9 is user-friendly even if it’s your first time using an electric razor. It’s completely waterproof and readily able to be used wet or dry to give you more flexibility. Next on our best electric razor for sensitive skin list is the Old Spice Men’s Electric Razor. It reduces the risk of shaving tearing up your skin by providing a good enough shave. So you do not have to go over your face again and again. This is helped by the “Triple Action FreeFloat System”, which are independently moving cutting elements capable of contouring to your face to cut long and short hairs. In addition to that, there is the “Optimized SensoFoil” that keeps skin smooth with every cut. 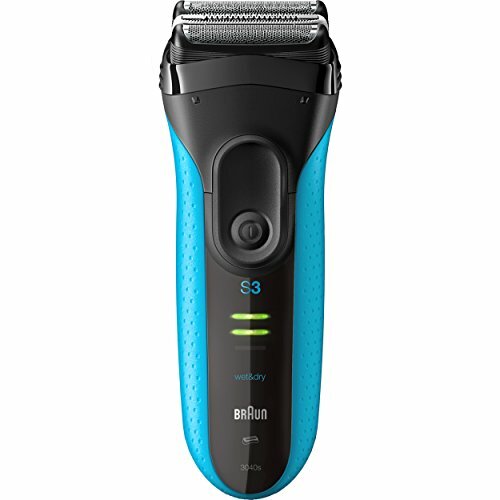 This shaver can last a good amount of time also as a full hour charge can provide 45 minutes of cordless shaving. There’s even an option for a five-minute quick shave. If you want to do more than just shave, then this Electric Foil Shaver will help as it contains a built-in precision trimmer. There’s a LED display as well for those looking for more convenience. 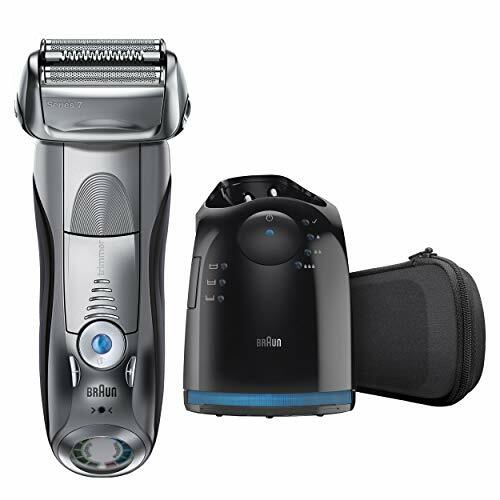 The Braun Series 7 790CC acts like a smart shaver considering the technology involved. There are five personalized shaving modes you can choose from that aid in the sensitivity of the shave. When it comes to the shaving elements, there are three for cutting and one for a skin guard. For additional gentleness against the skin, the razor uses an 8-directional flexible head that will adapt to your skin over time. It is completely precise as well, you can get to hard-to-reach places that are extra sensitive such as under your nose without irritating the skin. With its smart technology, it may help to have somewhat of an experience using electric razors. This is only waterproof up to five meters, so, unlike the others in this list, it can’t be used for wet shaving. Nonetheless, it can still count as one of the choices for the best electric razor for sensitive skin thanks to its new generation technology. It’s ideal for those who want a quick shave in the morning. 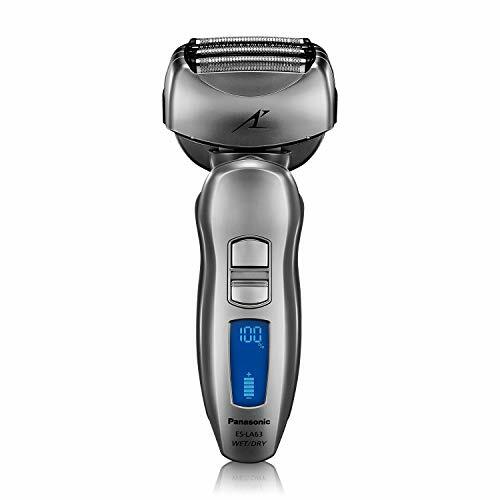 Another razor out for the title of the best electric razor for sensitive skin is the Panasonic Arc4 Men’s Electric Razor. On the appearance-side, it has a sleek design that’s ergonomic and comfortable. As for the shaving system, the stainless-steel foils are micro-thin and can lift and capture whiskers. All the while, the four, 30-degree blades provide a closer shave. The shaver head is multi-flex for smoother motion, while it’s also curved so you can gently glide over the jawline and chin. It has twice the cutting force and is 1.5 times faster than similar razors. Also, the material in the foil and blades are all hypoallergenic to keep your skin safe from irritation. For those who seek extra security, this features a travel lock so you can take it with you. For extra comfort when travelling, you can also check out these useful safety razor travel cases. First-timers can quickly get used to this shaver. Also, it is extremely convenient as well as you can use it dry or wet as well as with shaving gel or foam. Even though a standard, the manual razor can provide a closer shave. However, those with sensitive skin should seek out electric razors. The best electric razor for sensitive skin keeps your skin free from cuts, redness, etc. while still providing a smooth shave. If you’ve tried any of the razors in our list, we’d love to hear how they worked for you. We’d also enjoy hearing about any good products you know of that didn’t make the cut.